Venice is an enigma, a mystery, a city meant to discover over and over again. Even though it may be small and timeless no visit is ever the same. The thousand different façades of such a beautiful city of art multiply exponentially thanks to many factors, which continues to modify its living conditions. Therefore you’ll never get quite the same Venice, but ten, hundreds, thousands of “Venices” each one able to give you an incredible and unique experience. We are aware that the weather changing each season is an element that forms the city’s characteristics as well as the numerous events scheduled in each season- This allows you to avoid the more crowded moments. It is the best time to consider these 50 (and counting) shades of Venice. It is a period of uncertainty: you can find the heat of the San Martino summer, keep in mind Aqua Granda (the most disastrous high water of the century which happened 4th of November 1966) or enjoy the mild weather that is waiting to transition to winter. 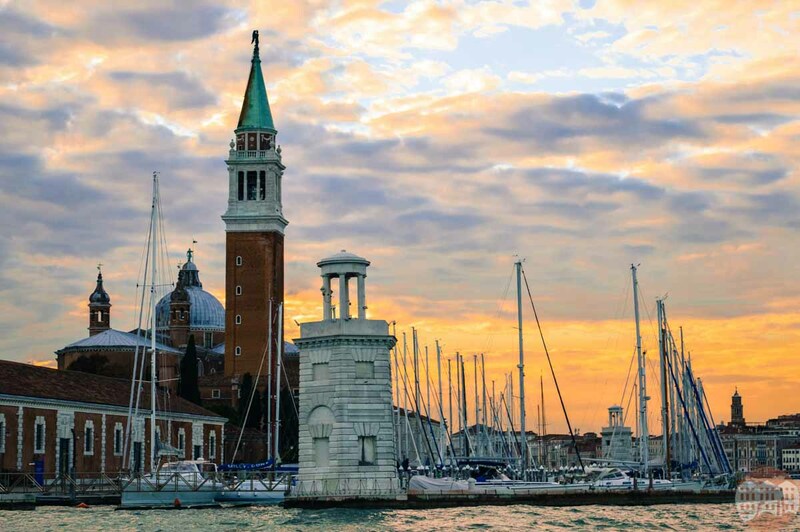 Whether or not it’s the summer holding on or an early preview of the upcoming winter, Venice is still crowded during the fall: it’s best you plan your trip ahead. We may have just as well said rain – but Venice – isn’t particularly rainy. Instead the most fascinating and mysterious element is the fog that envelops the lagoon. It is just as grim for the water transportation as it is remarkable to see in the city while walking. We love to exalt the green parts of Venice. Often not talked about are the marvelous gardens, parks and orchards in the city, just like the balconies of flowers that you can admire walking along alleys and campielli. Spring fills the city and the many islands in the Venetian lagoon with color. Venice always comes to mind during summer: its long summer days where everything is illuminated. Since it is so popular during the summer there are more things to see apart from traditional palaces and museums in fact it is a perfect time to eat and drink with the Venetians or an excellent place to take a cool swim in the Adriatic Sea in one of the beautiful beaches located on Lido Island.